The title of this post is taken from Bill Gates’ book titled “The Road Ahead” which has been lying in my house forever, since my childhood days. While I never really understood too much of the book back in the 90’s when I was a kid, I did try reading it and liked how Bill Gates wrote a book charting the future of his company Microsoft, the industry and the dawn of the information age. I thought it was really boring at the time( I was really young) but I liked the thought. I’ve always liked planning and strategizing(something my dad is a huge advocate of), but from my experience, life almost certainly never goes according to plan. However, it’s always good to pen down your thoughts and make a rough blueprint of how to proceed, everytime life throws you back. Writing has helped me considerably since I discovered that it was the most significant and constructive outlet to express what’s inside my head. I learned this first hand back in 2016 when I had to shut down stockbroking business that I spent a lot of my savings on. It was a failure, just like my late graduation from Engineering college, but my first foray into entrepreneurship taught me a lot. So this is my plan, but first a bit of calculated looking back and references. I was gutted this year after my dream of studying music and becoming a music producer was shot down by my inability to get a student loan passed in time to take up my admission into a music school. I got into every music school I applied to – SAE Institute London, Nimbus School Of Music, Vancouver Canada and my preferred destination Los Angeles Recording School, LA. What can I say, I write pretty well and nailed the applications. But the Indian education loan system is too stringent and they don’t consider applications in the arts, as their main focus is only on S.T.E.M(Science, Technology, Engineering, Medicine) courses. I even applied for grants and tried a lot of options but it was all in vain. So my day dreaming about life in Los Angeles and walking along the iconic avenues of LA’Merica, the birthplace of my favourite band, The Doors, or the effervescent streets of “London town”(Dire Straits) and watching my favourite football club Chelsea FC live at Stamford Bridge SW6, had to end, I had to bounce back. I knew this setback wasn’t the worst thing ever and my past experiences have taught me that there is always something greater waiting, provided I remain strong and persevere. So I had to adapt and re-think again. I’m pretty adaptable when it comes to life. I’ve been through enough highs and lows to know that harping on a missed opportunity isn’t worth the time or the effort and that you’ve just got to make your next move. Harping on stuff that doesn’t go your way and getting into the trap of pity as mentioned in this book by Friedrich Nietzsche called “Aphorisms On Love & Hate” that I read a bit of, is really the worst thing. It’s just a downward spiral. I was stuck in the pity trap for a while at one point of my life and the drinking magnified it even more, but then I broke out of those past-pain narratives on loop and learned to enjoy my life, the moment and focus on a better future. Apart from writing, reading books, articles and essays by eminent thinkers helped me a great deal too. There’s a treasure chest of knowledge out there to absorb and the right stuff will surely help you. Coming back, Nietzsche warns to guard against pity. Self-pity, wanting pity from others and feeling pitiful towards others. While I don’t completely agree with everything Nietzsche writes(I’ve only begun the book and it’s quite heavy), he does explain some interesting social observations, rather eloquently I might add, despite living in the 19th century. As a reader, you have to think critically, instead of blindly accepting everything you read. It’s better to apply what you read, observe them in your life and then come to a conclusion as to what is to be accepted or discarded. So again, it’s given me time to think and assess as to what my next move would be, but of course, the bills have to be paid and at 27, some stability was something I really needed, so I picked up a job which I’m happy with. Although I completely enjoyed my short break away from work for a few months, I like the diverse role and responsibility given to me by my boss and it’s fine for now. It’s in finance, but what the heck, I’m in Bombay, the financial capital of India, so I don’t really have a plethora of options. I’m learning new things too which will help me with my ultimate goals. Like Steve Jobs said in that Stanford speech, “connect the dots”. You just have to believe that everything you do, learn and experience in your past is a dot in the giant matrix of possibilities and your ultimate purpose and you just have to look back and connect them and utilize them. I’ve improved quite a bit since I bought my guitar and piano a year ago and I love that I can play okay-ish now. I need to practice more and while time is a bit of an issue, I’m happy with my progress so far. However, I need to get to the next level because I’m a bit stuck in the doldrums right now, so I’m going to get new teachers. I love to DJ. It’s my thing. It’s something I’ve done during my college years and it’s something I keep doing on my YouTube channel BOMBEATS. I have a good ear for music and I think in general, people really enjoy my mixes and playlists. I’ve been wanting to DJ in India professionally for a while now, but unfortunately, all the event management companies I’ve contacted haven’t responded. I think the reason is that there isn’t much of a market for the kind of music I would like to play, in the major cities at least. The majority of gigs in cities in India are mainly played by techno artists. Of course apart from live bands playing rock-n-roll, alternative, indie whatever. The party scene mainly consists of techno music, which is a genre I’ve dabbled in, but don’t know much of and don’t like too much. There’s a bit of electronica going on too, so there is a small window I could work in. But when it comes to DJing on a turntable I’m more inclined towards Downtempo/Chillout/Electronica/Lounge/EasyListening/Bossanova etc. I’m really about that peaceful vibe which is perfect for beaches and scenic locations like the mountains and such. So I will attempt to visit some tropical and mountainous regions and DJ there. You know chasing the horizon, chasing sunsets while playing beautiful live sets and meeting amazing people. From a worldwide perspective, Downtempo and it’s offshoots are well received and loved, so I will aim to travel more around the world and see if I can meet some people in the music scene there and DJ live at cafes and bars in scenic locations. Europe is my preferred continent to travel to and play live. So rest assured, I will be taking a DJ controller on my solo travels! I would love to have some kind of management but I think if I play enough gigs, things could lead to the next. Music Production and becoming a producer was my plan. Those were the courses I applied for. It’s something I’d love to do and wanted to do. But at this moment, I’m finding it hard to learn the DAW(Digital Audio Workstation) software(s) and successfully implement my musical ideas on them and naturally the doubts have started to creep in. I’ve been doing an online course but I’m finding it really hard to apply the stuff on the software and plus my laptop is really sh*t, so it just isn’t working for me. Maybe it’s because I was never really good at picking up stuff from these online courses and need a practical teaching experience to learn, this just isn’t working. I know this may sound funny, but I’ve spent a year on instruments and they seem easier to me than these complicated DAW’s. I wanted to become a producer and work with a studio and work my way up from there but from what I’ve read it’s pretty hard to get a break, establish credibility, get contacts and become an eminent producer. You have to start way down at the bottom and time isn’t exactly on my side so it could be a huge risk to take. So an alternative I found was doing a 6-month course learning a DAW in detail and then to see if I can make my own music in my spare time. It’s a very intrinsic process and difficult, but it’s something I would like to do at some stage when I have the time and can afford the course. Personally, though, at this stage, I prefer just an acoustic guitar or piano and making acoustic rock/folk and the singer-songwriter kind of music. So coming to the final plan. This is my dream, this is what I want to be my life’s work. 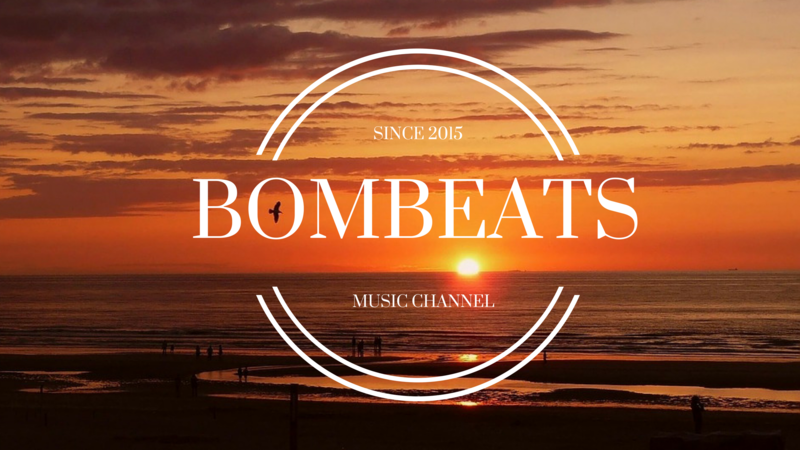 I want to make my YouTube channel BOMBEATS an international record label. I want it to be a diverse, multi-genre, artist-centric, great music releasing label. I’m not after massive profits, and I plan to give the artists under my label a good deal on royalties. But the main focus is the music. Just pure, brilliant, world-class music, not limited to any genre. Music that’ll stand the test of time and give people something beautiful to gravitate to. What started as a simple outlet and YouTube channel for my mixes and a platform to share my music taste with the world is now something that’s grown considerably and I want to turn into a proper full-fledged record label. I’ve got a great ear for music, it’s this innate ability I’ve got, I can just tell what music sounds great and what kind of music people will respond well to. It’s perfect to run a record label. It’s a no-brainer. I want to work on that, I want to build on it. So the key is to make it popular online first. I need to have a set audience and a loyal customer base. So I’m working as much as I can, when I can, to keep up the quality of the channel and gain more followers on all social media channels. I’m doing a bit of digital content and marketing in my current job and reading all the resources I can about marketing digitally, so it’ll help too. Like I mentioned earlier, connect the dots. In my experience with music, quality sells. If it’s great quality it will get recognized and do well even if it’s different. Think Radiohead etc. But on the flipside, having a strong product(album) is great, but it needs to reach a lot of people and get heard. So that’s where popularity, a set audience base on digital/social platforms comes in. The massive fan base is also my bargaining chip and what I can bring to the table. But first I need to understand how labels function, all the intricacies to them and go in depth and study them. I need to understand all the aspects of a successful label. My goal is to become as big as some of my favourite labels like Ninja Tune, XL Recordings, ESL Music(Run by Rob Garza and Eric Hilton of Thievery Corporation) and the slightly smaller !K7 Records(Of DJ Kicks fame), Brownswood Recordings etc. The plan is to work hard in whatever jobs I can do, save up as much as I can, (if that means lesser nights out partying or dining out that’s fine with me, of course travelling will be great to interact and connect with new musically inclined folks from all over the world while I DJ, so that counts as part of the process too), and save, save, save and invest. I need to get some amount of financial freedom and substantial capital with me to execute this. Firstly though, I need to work on getting out of my country India. Establishing and running a successful label can’t happen here. So first things first, get out of India as soon as I hit the prerequisites for a visa and ticket out of here. Then work in my current field of content and digital marketing when I get abroad and again save, save, save so I can do a course in music business from a reputed college and get hired by a big label abroad. So the major decision was to deviate from a Music Production Diploma course to a Music Business Dimploma/Degree course. Then once I get hired by a big label and I’m in the music industry, I can learn the 3P’s – Process, Product and People, learn how they function and get connects. I need to understand every aspect of a successful label and perhaps crucially surround myself and meet like minds and people passionate about music who are driven, share similar musical inclinations to me, and who are also more intelligent than me. Maybe some of my old friends from college as well could be partners with me, I don’t know who exactly as of now and it depends on where everyone reaches in their journeys and their lives, nevertheless, I’ve already begun the process and started the conversation with some people. Who knows what will transpire but I’m determined. For now, though, I’m just focussing on my job, learning as much as I can, saving money and trying my best to make BOMBEATS popular. It’s a long hard road ahead and there’s so much to do, that at this moment it’s a bit overwhelming. But I will work on it slowly. I will have to make sacrifices at various points but this is my blueprint, my plan, my dream and my goal. There’s so much to do and there’s so little time. I’m approaching my 28th birthday in five days and I’d like to see it as a turning point, the next phase, the next step, the next adventure, the start of the climb to the summit. Personally, I wish I had a girlfriend who liked me a lot, believed in me and guided and directed me through all this. Someone who I can have as an anchor in my life, a support system because it’s hard doing this alone. It’ll be so brilliant to have someone like that in my life. But if I have to do it all alone in the end and there’s no other way, I’ll do it by myself. That’s how I am. Having someone who you can share it with will be really nice though. This is why you need a woman in your life… direction in life. They always seem to know… even if they're lost. Behind every successful man is a very surprised woman! I need to work on myself too, I’m far from perfect but working on yourself is a never-ending process. Coincidently, I tweeted this exactly 1 year ago to the day! So yes, I have to do all of the things that I’ve mentioned here, but of course, I’m so confused and don’t know where to start. That being said, I like to view people and their journeys through life like galaxies in the cosmos, the very stuff we’re made of. Galaxies are in a constant state of turmoil and confusion, with explosions and colliding mass(planets, stars and asteroids), dust storms and gaseous storms and all kinds of deadly cosmic phenomenon, but that’s how they are and if it wasn’t for that they wouldn’t be as awe-inspiring to look at or shine so distinctly and brightly for the beholders of their majesty. “Look up” as Stephen Hawking said. Here are the links to #BOMBEATS online so do follow and be part of the journey! I’m glad I penned this down. Tune to go!!! : A 2000’s classic and a DeeTee(The bar I DJed in college) favourite! !